Throughout this past year, the efforts of the South Jersey First Star Collaborative have had an impact on both its local cohort of foster youth as well as national organizations and stakeholders who are committed to improving the issue of foster care systemically. The Pascale Sykes Foundation’s whole family approach has been essential in guiding these activities. During this year, First Star was able to secure four­ year college scholarships that include tuition, room, and board for each participating First Star student. The provision of this scholarship allowed the collaborative to make its long­term goal of college attainment for each participating youth a reality. The scholarship has increased student participation overall and allowed the collaborative to have an avenue to increase family involvement. We have observed an increase in student dedication to their studies and an improvement in caregivers’ involvement in their student’s academic plans. Students and parents are now enthusiastic about attending college now that the financial barrier has been lifted. First Star is encouraging all students to explore schools outside of those that are in­state, especially those students who are excelling academically. For example, Kaitlyn, who participates in Air Force JROTC, would like to visit The Citadel this year; and Nina, who desires to become a pediatric surgeon, would like to visit Princeton University. First Star is seeking to develop an ongoing partnership with the Give Something Back Foundation’s scholarship program, which has garnered national attention. 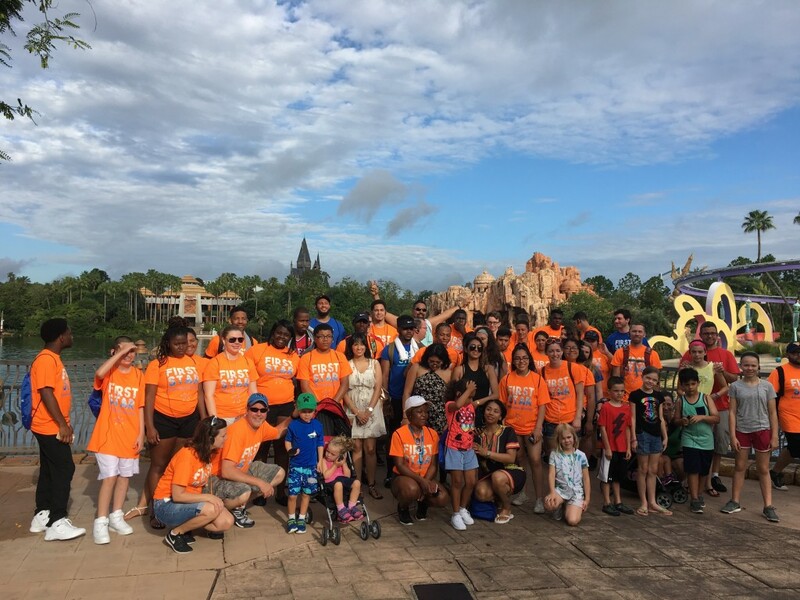 After meeting and connecting with First Star youth, the Give Something Back Foundation has determined foster youth to be a target population for future college scholarships in New Jersey and nationwide. This focus was monumental in the development of a new First Star Academy in partnership with California State University, San Bernardino, where participating youth will also receive scholarships. First Star’s involvement also created a partnership with Rowan College of Gloucester County, the college in which two students, Corressa & Asjahnai will be attending in Fall 2017. Rowan College has now become a partner site in which our First Star cohort can attend and receive housing and supportive services as they transition out of high school and into college. Pascale Sykes has placed the whole family approach at the forefront of these activities and will impact foster youth for years to come. Throughout this year, First Star has continued to refine and improve its whole family approach, as this is an issue that has been addressed in letters from the trustees. Due to the geographic location of the students, the collaborative determined regional focuses for each Family Advocate to allow for more frequent home visits. Families continue to meet with Family Advocates on a regular basis to update their family plans with their financial, vocational, relational, and educational goals.